The word ‘mashru’ comes from the Arabic word ‘shari’a’ that means ‘permitted by Islamic law’, an allusion to the prohibition of wearing pure silk fabrics by Muslim men, citing laws in the Quran that restrains luxury in their lifestyle. Mashru is a mixed fabric composed of a smooth silk surface and soft cotton backing, thus making it possible for the Muslim men to wear silk. Mashru was formerly woven in three parts of India, Gujarat, Deccan and Uttar Pradesh. The mashru woven in Uttar Pradesh were called Mashru Purabi’ or ‘Eastern Mashru’. These sumptuous colourful textiles were brought to India from the Ottoman Turkish Empire through commercial and cultural contacts during the Sixteenth century. Gujarat was the first weaving centre for mashru in India. The historical records of the textiles of the 14th and 15th century Gujarati textile merchants had several textiles with the word ‘misru’ in their names. The Gujarati mashru had characteristic bold stripes and dotted patterns bearing strong resemblance to Turkish and Syrian mashru. On the other hand, mashru made in the Deccan (Andhra Pradesh, Tanjore and Tiruchapalli in the Madras Providency, the present day Tamil Nadu) had ikat patterns, as the area is also an ikat-weaving region. Mishru purabi were woven in the later nineteenth century and in comparison to the other weaving centers, these were more densely woven, less boldly patterned and coloured than the south Indian varieties. Today, most of them are housed in the V&A Museum, London and in the former royal collection of City Palace, Jaipur. Some of the typical designs of mashru included stripes, tie-dyed ikat patterns, and woven patterns of small dots between stripes or over a plain ground. 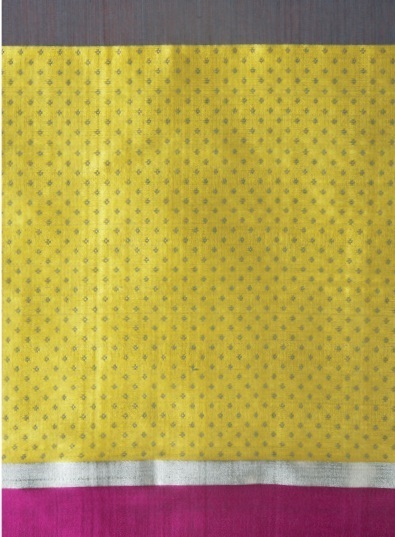 It was used for garments like skirts, bodices, and trousers; lining or backing for curtains; floor spreads; canopies; horse covers; torans and decorative floor surrounds. Mashru thrived on the economic well-being of royal patrons of the society but suffered a loss of demand with the fall of the Indian Royals and he establishment of the British Empire. Consequently, pure silk was replaced by artificial silk only providing for the demand of the local communities of Gujarat. Raw Mango is a contemporary Indian hand woven textile brand, which creates products, using traditional craftsmanship. It began its journey exploring the translucent opulence of Chanderi fabrics followed by the rich and intricate Varanasi brocades. In both the above contexts, it has worked on adding value to a traditional skill set. Presently, they hope to do the same with mashru textiles by exploring the technique with both traditional and contemporary raw materials, colours, patterns etc. They look forward to celebrate mashru textiles and its lost glory today, two centuries after it has become antiquated. The idea of working with mashru materialized after coming across a heavy satin fabric called ‘gyaser’ made for Tibetan monks. 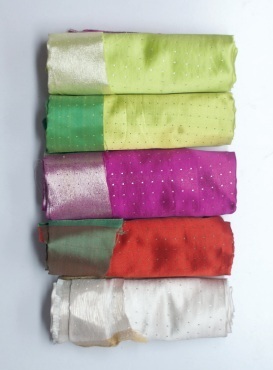 It is one of the satin fabrics, with both warp and weft being silk widely woven in Varanasi. The design process opened up the possibility of creating new patterns as a result of working with the limitation that patterns can only be added as a result of weft floats. 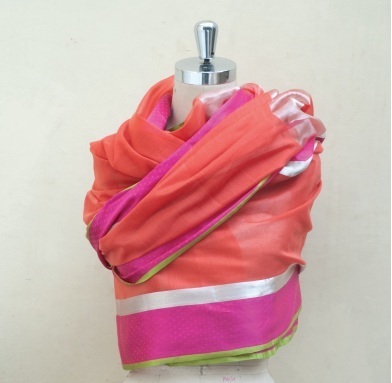 It has been woven alongside a soft cotton body, thus making it easier to drape, and thus adapted to be used in saris, dupattas and stoles, consequently re-purposing the textile by giving it a renewed context of use. The traditional backing has been replaced with wool, khadi and zari, making the two-layered fabric appropriate for various uses. In the past, craft traditions have been affected by changes in religious, socio-economic and political conditions. Varanasi started out with fine muslin weaving tradition and later transformed into a pioneering silk weaving centre so much so that it cannot be imagined without the weaving of silk in today’s time. Mashru is at a similar point in time where it will be transformed by the concerns of the age. Raw Mango’s design process, employed in a disorganized hand loom sector, threw up many idiosyncratic results. The support from the enterprising weavers in dealing with such issues was immense and our collection brings together best of craft and design. Posted in Crafts, Gujarat, History, Jaypore, People of India, Profiles, Revival, Sarees, Textiles, Tibet, Weaving and tagged Islam, Mashru, Raw Mango, Revival, Sarees, Textiles, Weaving. Bookmark the permalink. The best place to purchase Mashroo is Dhaanis Era.